Walter Zappolini was the young primo ballerino étoile of Teatro dell’Opera. Franca was looking for the main interpreter for the choreography she was working on and the great Millos, with whom she had also worked, suggested Zappolini. Since then, they have never been apart. Bound together by a life project and a deep sharing of the values and purposes of art. Together they created a company, Balletto di Roma, which debuted during the 1960 Olympics and is still today one of the most lively realities of the Italian landscape. Highly experienced étoile and choreographer, Walter Zappolini (Florence, 1930 – Rome, 2017) founded with Franca Bartolomei the Balletto di Roma company in 1960, assuming the position of artistic director until Roberto Casarotto’s new direction in 2015. He began his dance training at the age of nine at the Dance School of Teatro dell’Opera di Roma under the supervision of the directors Placida and Teresa Battaggi. He rapidly rose to the top in his astounding career: at twelve he entered the corps de ballet of Teatro dell’Opera, becoming the soloist at fifteen and primo ballerino at seventeen, after graduating with the highest mark. The last of his teachers is Erik Bruhn, a highly skilled and remarkably talented choreographer and performer. 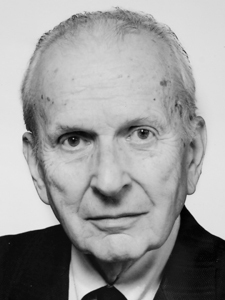 Being the main interpreter of the Opera’s vast repertoire, Walter Zappolini became the étoile of the Theatre and worked with some of the most important choreographers in the history of dance: Léonide Massine, Aurel Milloss, Anton Dolin, Dimitrije Parlic, Nicholas Beriozoff and Margherita Wallman. He was invited as a guest to perform in many theatres and events such as La Fenice in Venice, Maggio Musicale Fiorentino, Teatro Comunale in Bologna, Teatro Massimo in Palermo, San Carlo in Naples, Teatro Verdi in Trieste, Teatro Massimo Bellini in Catania, Teatro Verdi in Cagliari. He also participated in many international tours in Germany, Switzerland, France and Spain. He was the guest primo ballerino at Teatro Eliseo in Rome in 1948 for the performance of Rosalinda (O, Come Vi Piace) by W. Shakespeare directed by Luchino Visconti (scenes and costumes by Salvador Dalì). He was then Silvana Mangano’s partner in the 1954 film Mambo directed by Robert Rossen and choreographed by Katherine Dunham. He has created more than fifty choreographies and has also worked in television by curating programmes on dance and ballet. He was a member of the commissions for professional selections in the main theatres in Italy and in the Rai TV network. He was convened as a dance expert at Ministero degli Affari Esteri for the awarding of scholarships. Together with Franca Bartolomei, remarkable dancer and choreographer in the most important opera houses, Walter Zappolini founded Balletto di Roma in 1960, one of the first examples in Italy of a private company recognised by the State. He has dedicated the majority of his professional life to the company. In 1973 Teatro dell’Opera di Roma entrusted him with the direction of its Dance School, a position that he has held for fifteen years, until 1988. In 1985, together with Franca Bartolomei, he founded Centro Danza classica Balletto di Roma, of which he has been the artistic director until 2006. In September 1997 he was unanimously elected as the President of the educational section of Federdanza AGIS. In 2000 he was nominated Membro del Consiglio Direttivo dell’Unione Regionale del Lazio and, in 2001, President of Consulta della Danza Agis Lazio. Since April 1998 he has been the artistic director of the International dance Contest “Città di Rieti” and of the “Rieti Danza Festival”. Amongst his numerous recognitions, he was also awarded with “Remio Léonide Massine” for the art of dance (1982), “Premio Internazionale Tani per le Arti dello Spettacolo” (1992), “Le Muse” international prize in Florence (1997) and, together with Franca Bartolomei, the prestigious “San Valentino d’oro” prize by Comune di Terni (2000). The Ministry of Public Education also awarded him with an official recognition for the high artistic quality of his activities. In October 2012, together with Luciano Carratoni, he launched the new headquarters of the Balletto di Roma Dance School and Company. Franca Bartolomei (Rome, 1922 – Rome, 2006) has been the prima ballerina and choreographer in the most important opera houses in Italy and abroad. Following her training at the Dance School of Teatro dell’Opera di Roma under the supervision of Nicola Guerra, Mara Douse, Ettore Caorsi and Teresa Battaggi, she debuted there at the young age of 13 as the soloist in the “Swan Lake” choreographed by Boris Romanoff. Having finished her academic studies, she became a freelance performer abroad, gaining international recognition as prima ballerina and choreographer in Australia, New Zealand and South Africa. 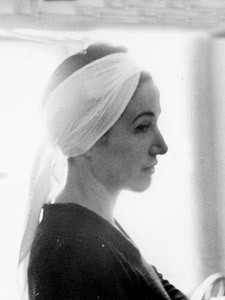 Upon her return to Italy, she performed in “Il Cappello a tre punte” by Margherita Wallman at Teatro Massimo in Palermo, where she worked as prima ballerina and choreographer for the following three years. She worked with theatre foundations and opera houses such as Opera di Roma, Teatro San Carlo in Naples, Teatro Verdi in Trieste, Teatro Comunale in Bologna, Ente Lirico in Cagliari, Teatro Massimo Bellini in Catania and many other theatres, music and ballet institutions. George Balanchine, the then director of Ballo del Gran Teatro di Ginevra, asked her to open the theatrical season. On this occasion, she created the choreography “Trionfo” of Aida, and Roberto Rossellini entrusted her with the choreographies of “Joan of Arc at the Stake”, based on the oratorio of the same name by Paul Claudel, with music by Honneger and interpreted by Ingrid Bergman. She was the interpreter of many works under the supervision of Boris Romanoff, Anton Dolin, Aurel Miloss, Nicolas Beriozoff. She created around seventy ballets and the choreographies for almost all the traditional repertoire of grand operas. She created television programmes for the Rai network. In 1960, together with Walter Zappolini, director of the Dance School of Teatro dell’Opera, she founded the Balletto di Roma company, which debuted in the same year at Ninfeo di Villa Giulia in Rome, in the Olympics and is still today one of the most important Italian dance companies. Since then she almost exclusively dedicated her work to the Roman company and to the training of the new dance professionals through the activities of the School of Balletto di Roma, one of the most skilled schools in Italy. The official recognition from the Ministry of Public Education awarded her for the high artistic quality of her activities. Amongst the many artistic awards, besides the Tani prize for dance, she was awarded with Premio Positano in 1975 for the choreographies of “Sinfonia Breve” with music by Mario Zafred and “Lettere di una Monaca Portoghese” with music by Valentino Bucchi. Amongst her last works, “O Soavi Fanciulle”, created for Festival di Torre del Lago Puccini, “Mata Hari”, with music by Giuseppe Calì and the choreographies for 13 episodes of a Spanish television programme. Between the ‘70s and the ‘80s she curated the choreographies for Franco Zeffirelli’s films. The Ministry of Public Education awarded her with the title of “Dance Teacher” for her valuable educational efforts. On August 11th, 2006, the town of Rieti created the Premio Franca Bartolomei, an international award for dance that is bestowed on highly skilled personalities that have distinguished themselves in the interpretation, choreography, training and promotion of the artistic culture, and most specifically of dance. The journalist and former student of Balletto di Roma Donatella Bertozzi writes: “In Rome, fate knocked on her door by making her meet Walter Zappolini, with whom she would have shared the rest of her life. Together they have built, day by day, a school that trained many generations of Italian dancers by offering a solid professional education and an example of clear passion for their work as well as an unlimited trust in the worth of properly done things”.